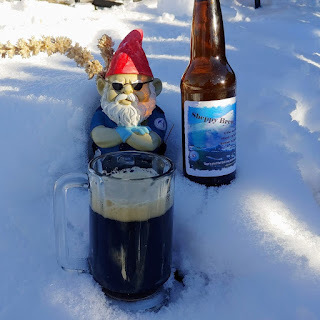 You may have gathered from Sheppy's Blog: X-Mas Ales that I brew a different X-Mas Ale every year. I started this back in 2009, and have continued every year up to and including 2018. I'm certain I'll brew a new X-Mas Ale recipe in 2019 as well. Back when I first started and for several years thereafter, I bottled extra bottles that I let sit in the beer fridge for several years. The idea was to be able to perform vertical tastings of the various years. Now that I keg everything, I have not been great at putting aside beers, but I still have quite a few left from 2011 through 2015. Last Sunday, I decided to try some of those older beers. 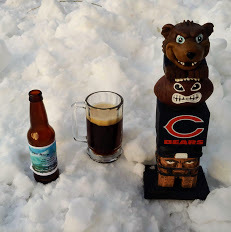 I don't have any 2009 or 2010 beers left, so the first beer I had available for this exercise was the 2011 X-Mas Ale. 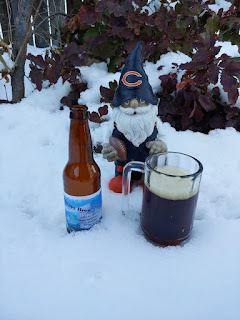 In 2011, I added Hazelnut to the base beer. Over its life, I've really liked the beer sometimes and sometimes really didn't care for it. This time I enjoyed it. It has held up really well for being a 7-year-old beer. The hazelnut complemented the base beer well. In 2012, I added peppermint flavoring to the beer. It has always been good. Obviously, you have to like peppermint, but I do, and this beer has always been pleasant. It isn't the kind of beer you can drink a lot of at once, but it was a nice treat. I good dessert beer. Again, it held up well over the years. 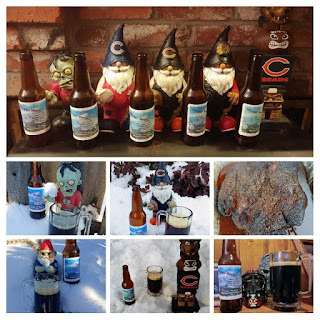 2013 was a smoked beer. This was my least favorite when it was fresh. It is ok, but I think it would be better with a more subtle smoke flavor. 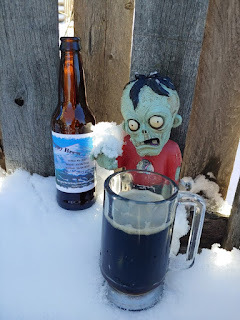 I enjoyed the beer this year, and again, the base seems to have held up well against age. 2014 was one of my favorites fresh. It was just the base beer. This beer has not held up as well against age. It has oxidation notes at this point. It is still drinkable. It just is past the point that it tastes fresh. I may use this beer to add to sauces and things like that. 2015 was also just the base beer. This one has held up better than 2014. Not sure if that is just because it is a year younger or if I did a better job bottling this batch. That was it for this year's "Vertical Tasting". This is an interesting thing to do. I'm not sure it is worth actually bottling my beers, but I have fun going back and tasting my old beers. I didn't bottle any beers this year. I do have some that I bottled last year, but I'm not sure I'll save these for vertical tastes. I do have at least 4 more bottles each of 2012, 2013, 2014, and 2015, so I'll continue this practice at least a little while. 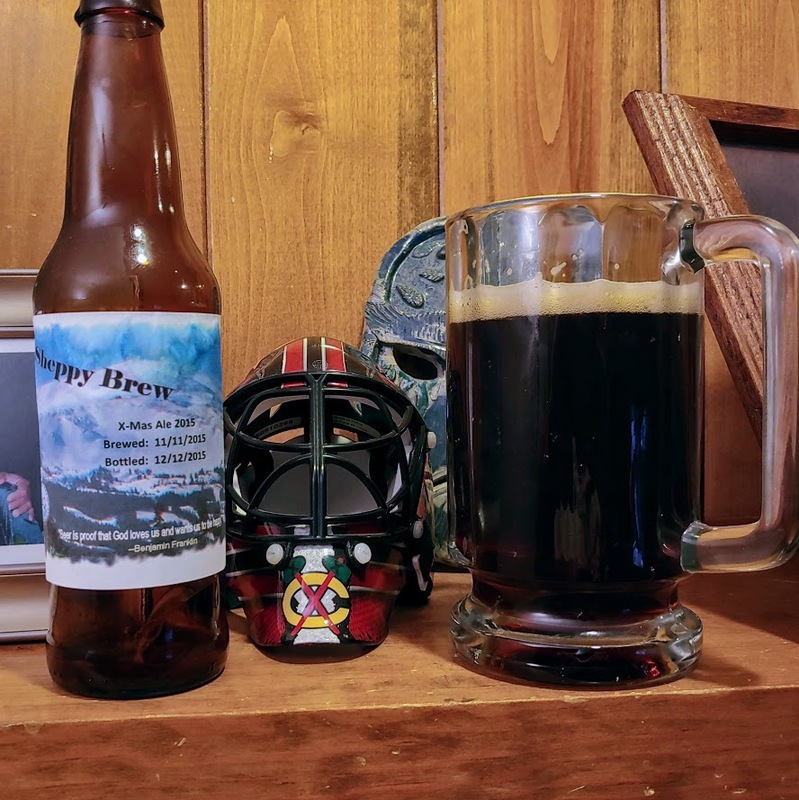 As always, you can always keep an eye on the regular SheppyBrew Channels to see what is happening with beer and other things: SheppyBrew's Facebook Page; Sheppy's Twitter Feed;SheppyBrew's Instagram Page; and SheppyBrew's Website. Of course, don't forget to visit this blog often as well.